Cozumel island is a paradise in many ways. Also for athletes! There is a good reason why events like Ironman 70.3, Ironman and GFNY are being organized on our island. We at FlyCozumel are Tri Bike friendly: smile. When you arrive in Cancun while your final destination is Cozumel, Transport can be a hassle. Fly with us. You pay for yourself and your family, your Tri Bike joins for free (fully insured of course) . We have flown hundreds of Tri Bikes and its owners between Cancun and the island of Cozumel. Safety, of course, is our priority number 1. But right after that it is service. 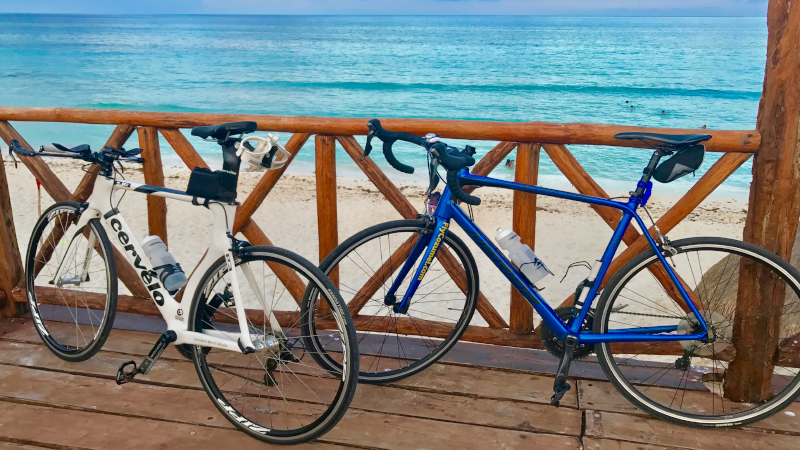 You and your Bike will travel in a top notch way between Cancun and Cozumel. Avoid hassle and stress traveling by bus and ferry. On November 11th, 2018 the island of Cozumel hosts the 5th edition of Gran Fondo New York. GFNY itself offers Tri Bike Transport. In the event you land in Cancun with your bike and don´t want to travel with bus and ferry, we are at your service. 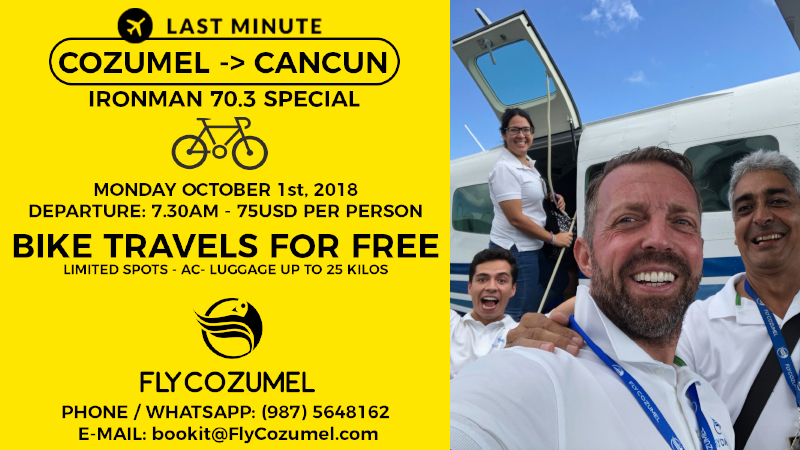 Also for this event we offer Tri Bike Transport between Cancun and Cozumel. Departure at the time you want and that 24/7. Are you a competitor of the full Metlife Ironman in Cozumel on November 18th? Also for you it stands. You pay your ticket to or from Cancun / Cozumel and your Tri Bike travels for free. 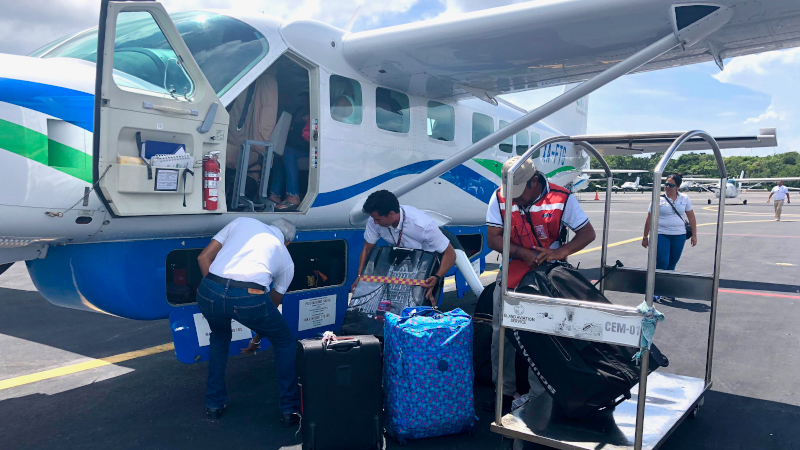 When you are looking for hassle free Trip Bike Transport from your home straight to the event you are joining check out Tribike Transport in Mexico and Tribike Transport. When you arrive in Mexico with your bike and still looking for Tri Bike Transport between Cancun and Cozumel. Contact FlyCozumel. 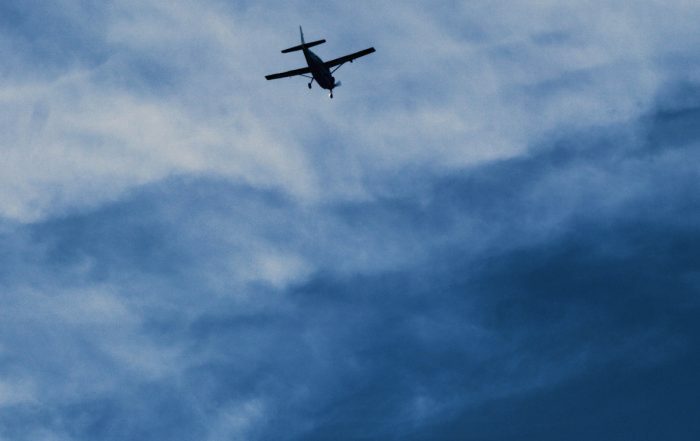 By air Cozumel is only 15 to 20 minutes from Cancun, hassle free. Fully private. Otherwise you may want to combine your flights with friends / other competitors to lower the price. Contact us for a free quote and last minute deals: Phone / WhatsApp +52 (987) 564 8162 – bookit@FlyCozumel.com. Hi Beth. Thank you. Check your e-mail in 30 minutes.